Certain people cannot be dissuaded from repeating the same mistakes over and over again. Take Steamforged Games, for example. 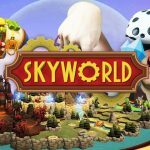 They seem pretty intent on taking video games that rely on skill and hand-eye coordination and turning them into board games. 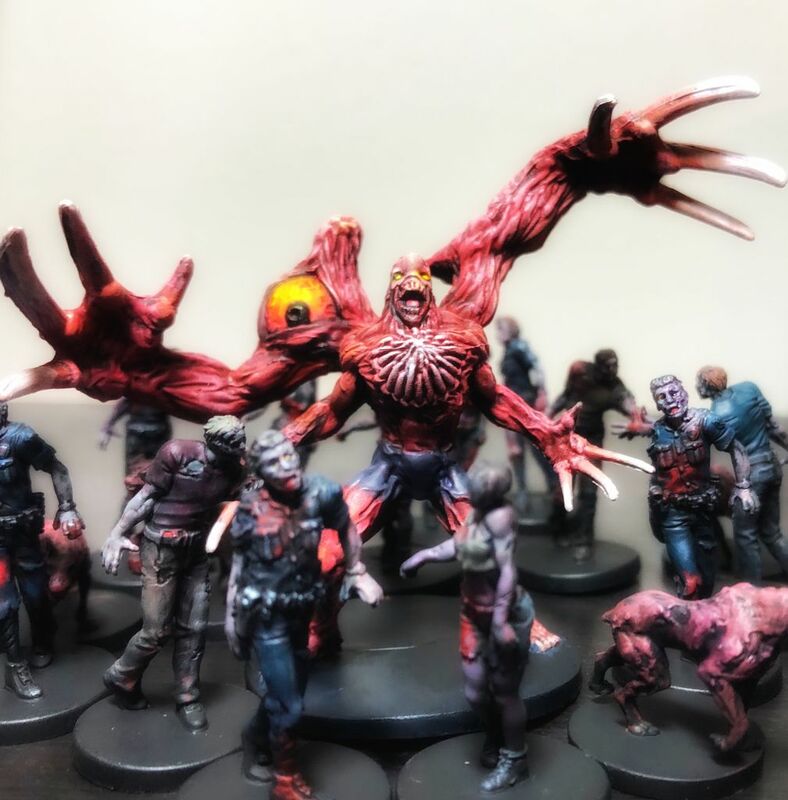 Resident Evil 2: The Board Game is the latest attempt, and I am happy to report that it at least does a better job than the Dark Souls board game did. Not by much, but still. The first thing you’re likely to notice when you open the box is that Resident Evil 2: The Board Game has some awesome presentation. It literally opens with a piece of paper that says, ‘This game contains scenes of explicit violence and gore’, just like the original game. 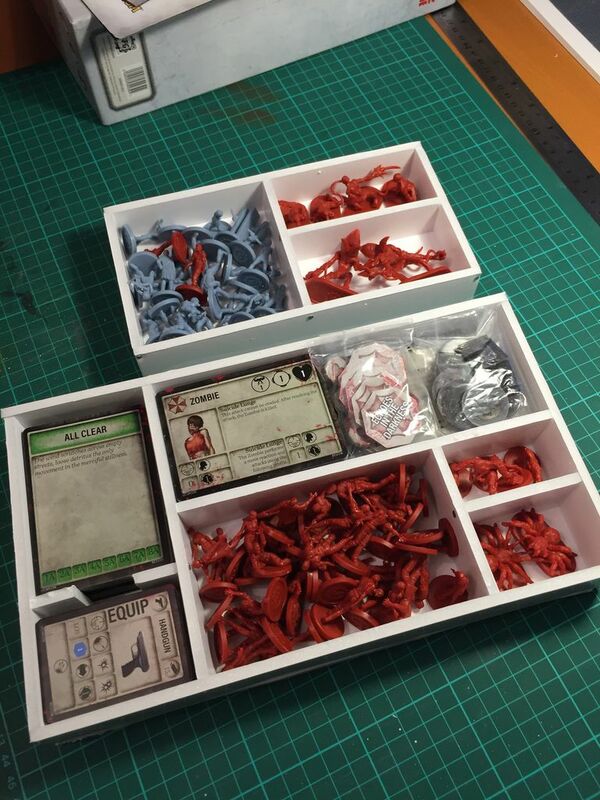 The next thing you’ll notice while looking at the components is that they’re…not great. While the miniatures are well sculpted enough, the artwork is dreadful. All of the modular dungeon tiles (read in the voice of a certain Australian YouTuber) are really dark and murky. While that fits the game’s aesthetic, it does mean the details on them are really hard to notice. The dark artwork even extends to the rule books. It’s basically impossible to tell which tiles the game is telling you to set up, forcing you to rely solely on shape instead of artwork. You might say that the artwork doesn’t stop the tiles functioning, but at that point you might as well just cut out pieces of paper. The gameplay has been almost entirely lifted from Dark Souls: The Board Game. There have been some minor tweaks, like scaling back enemy difficulty and transplanting the movement onto square grids instead of nodes, but there are a lot more similarities than differences. Each player controls a character from the video game, with Leon, Ada and Claire being the main standouts. There’s also Kendo, the owner of the weapon shop, in a clear case of ‘we needed four characters, so this guy will have to do’. Players take it in turns to perform 4 actions, which can be performed any number of times. You move around the board, collecting items and hopefully avoiding zombies. Just like the original video game, you have very limited ammo and other supplies and have to conserve them to have any hope of survival. The main difficulty when trying to transplant a game with action in it is that you have to replace the skill-based challenge with something that would work in a board game. Unfortunately, they decided to go with RNG. When you attack with any weapon, you roll a certain number of different coloured dice. These dice aren’t like standard dice, instead they’re covered in different hit and dodge symbols, and each time you roll one, you basically have a one out of six chance of actually doing damage to an enemy. The point isn’t necessarily to actually kill your enemies, often times you’re much better off getting around enemies and aiming straight for you objective. There are a couple of problems with that in the context of a board game. The first issue is that there are situations where you feasibly need to kill enemies on occasions, like if they’re blocking off an important location, for example. It is technically possible to use the enemies’ pathing against them to push them out of the way, but a lot of the time you’re going to have to rely on rolls to try and dodge out of the way, which means using the weird, low chance dice again. The second major issue is that there is another huge pile of RNG coming from the ‘Tension Deck’. 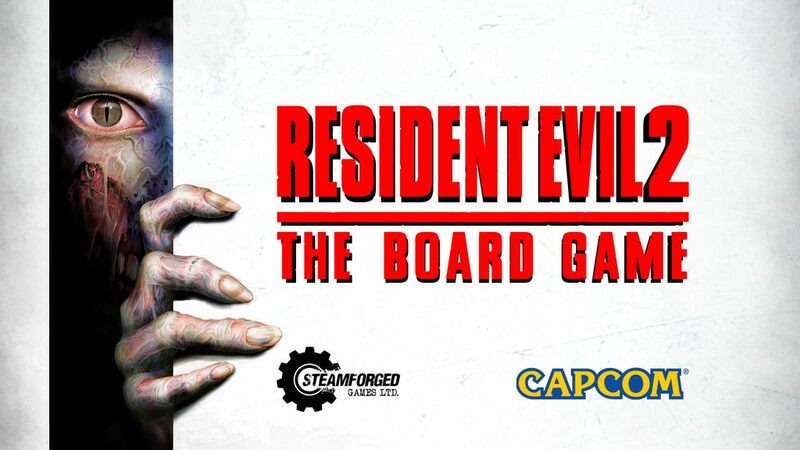 In Resident Evil 2: The Board Game, you end each round by drawing the top card from the Tension Deck. Most of the time the cards in this deck do nothing, but every so often you’ll pull a card that magically teleports enemies to your location or forces a status effect on you. Once you start playing with the advanced rules as well, the Tension Deck acts as a secondary timer to force you to complete your mission as quickly as possible. The Tension Deck just doesn’t really feel necessary. Resident Evil 2: The Board Game can be challenging enough with the different scenarios that you play, so adding a randomized difficulty spike every so often just gets frustrating if you’re unlucky or feels pointless and tacked on if you’re lucky. 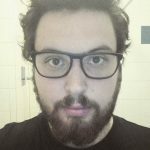 If things really go well, then it can feel like a classic survival horror moment, but more often than not, it just feels like you’re being crapped on without any recourse. If the game had given the standard enemies more health and used normal dice for damage instead of a hit roll, it would have felt much better to play. Even if they had kept the funny dice for dodge rolls, it would have felt more like a game where the players had control over the outcome instead of just hoping to get lucky. 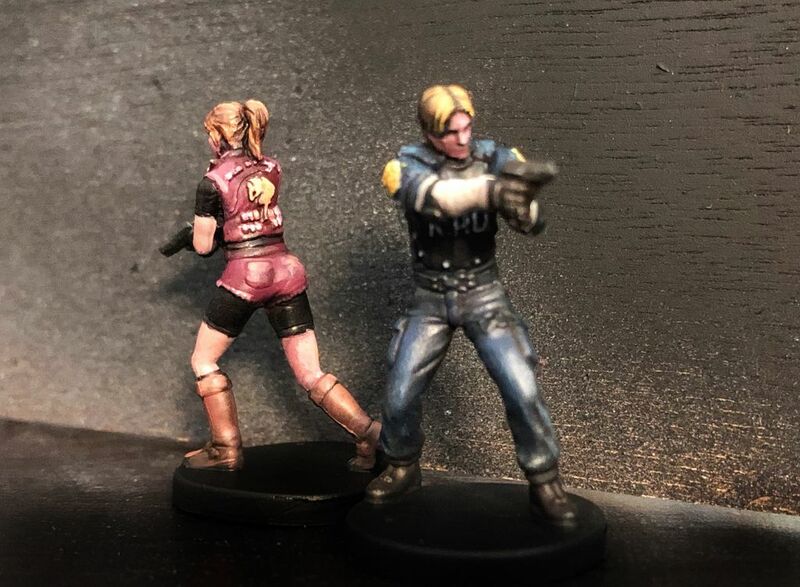 Overall Resident Evil 2: The Board Game isn’t a bad game. It’s pretty average for the most part. The artwork is done in an appropriate style for the games, but it seems that no thought was put into their usability as actual game pieces. The gameplay is passable but random. Most of the time, strategy cannot save you if luck isn’t on your side, and when luck is on your side, you can survive despite a torrent of bad mistakes. When all is said and done, you might enjoy this game if you’re a fan of the series it’s based on, but if you’re not, there are infinitely better options out there for a zombie game which actually give you a sense of control over your own destiny. 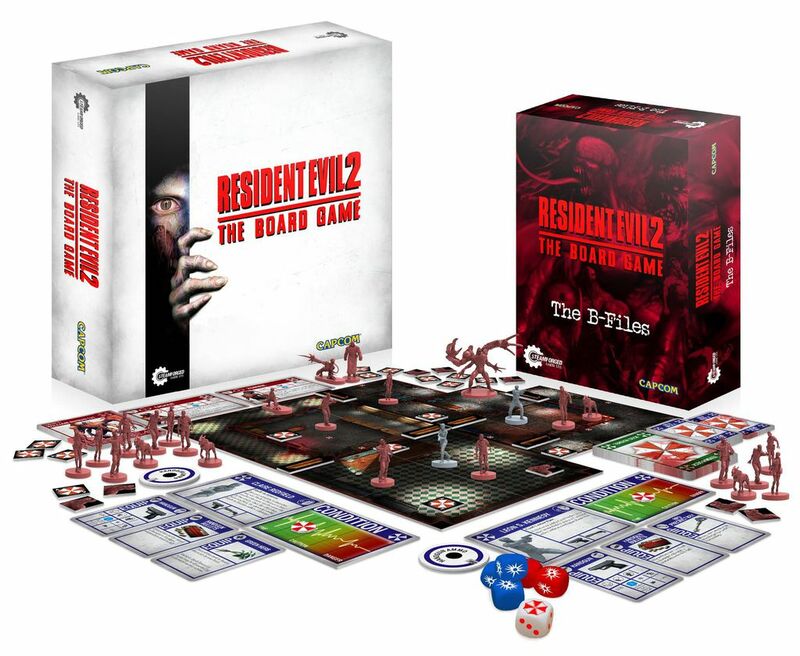 For more games like Resident Evil 2: The Board Game, visit Asmodee or find the nearest games store. 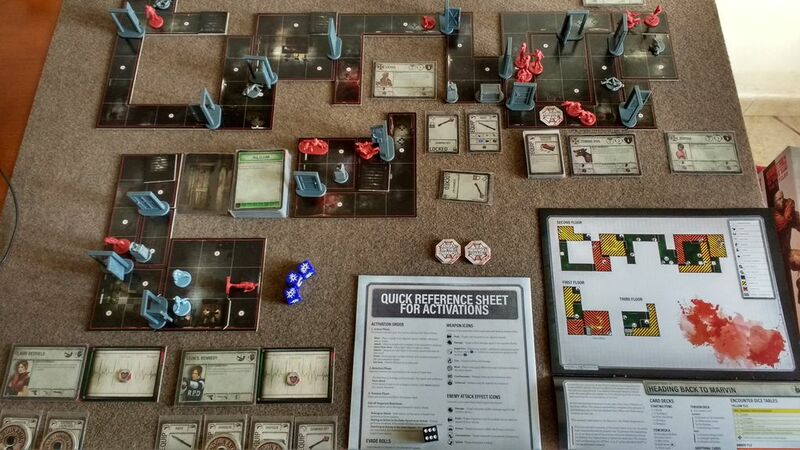 Resident Evil 2: The Board Game ends up incrementally improving on a formula laid out by Dark Souls: The Board Game. While it is certainly less tough than previous Steamforged titles, the deadly cosmic anvil of RNG does descend from on high too often to really earn the game a recommendation. If you've got nothing else to play, or if you're a Resident Evil fan, then you might get some fun out of this one; if not, it's probably worth saving your hard-earned money.